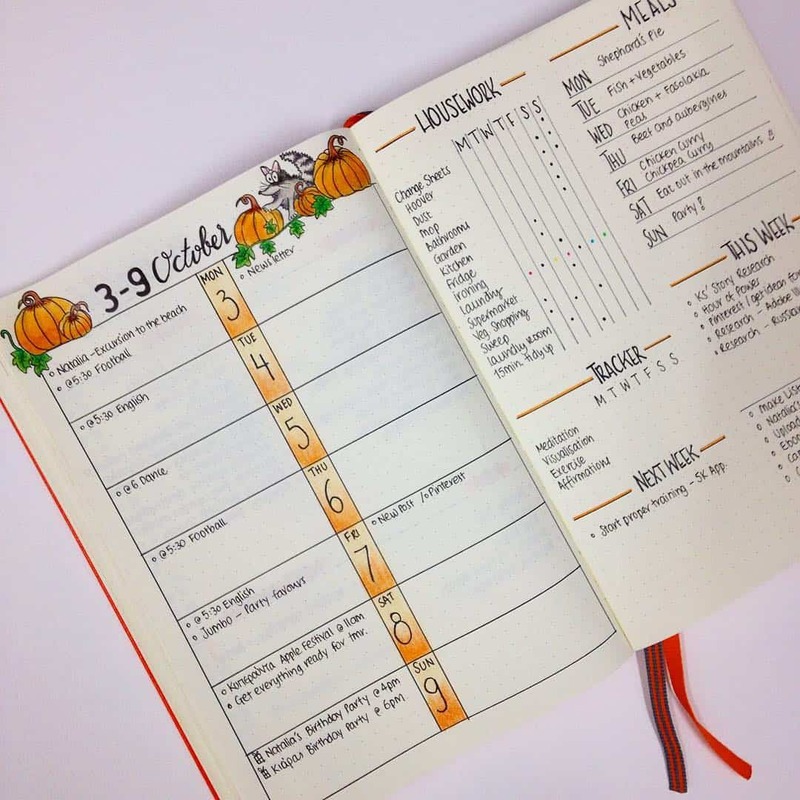 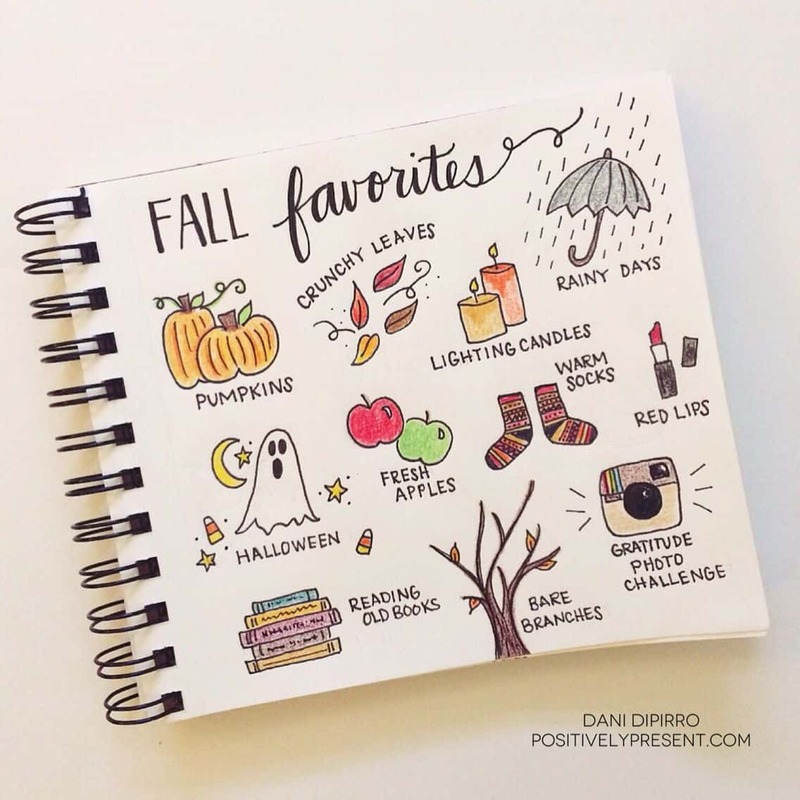 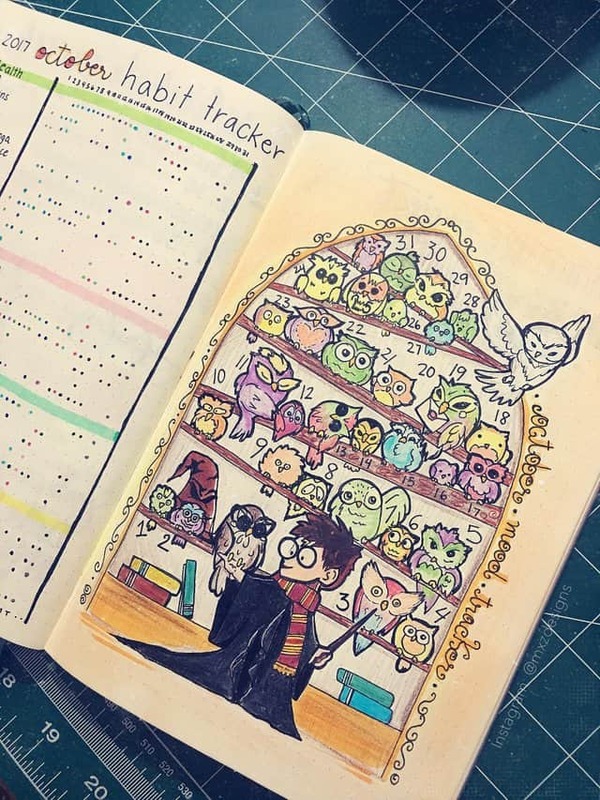 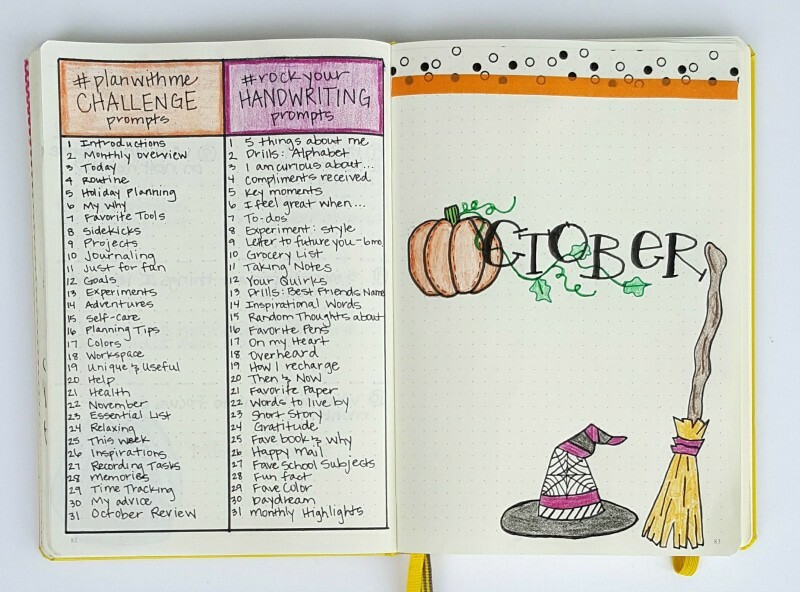 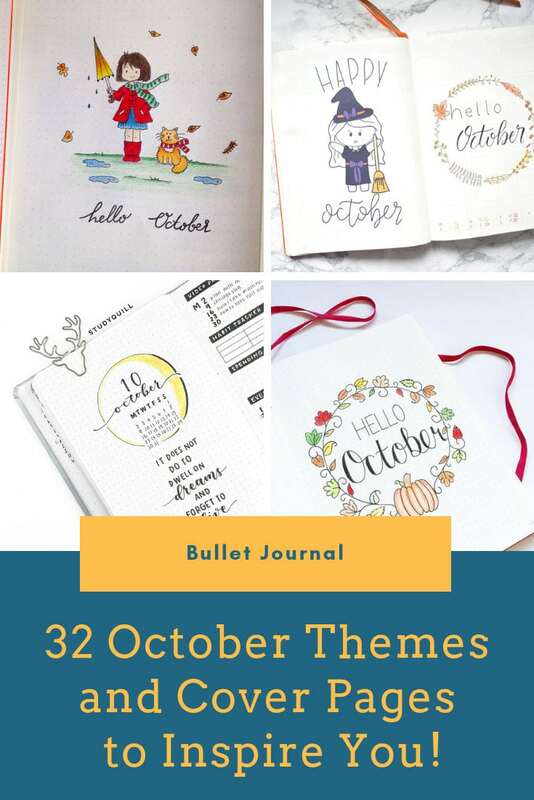 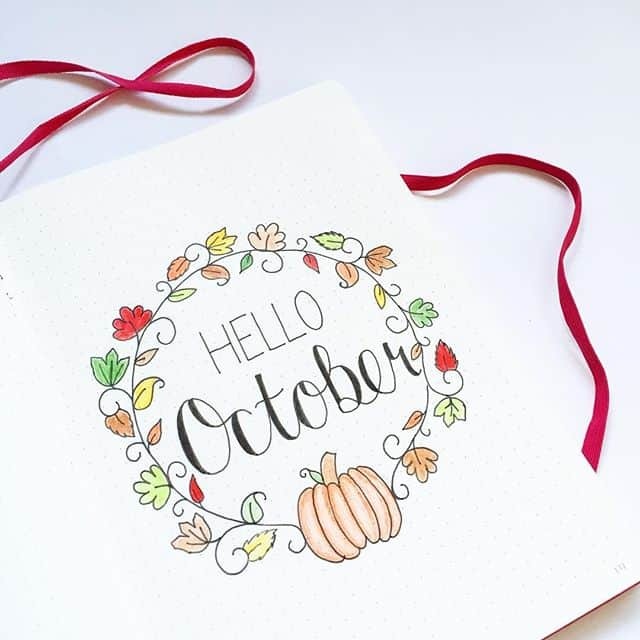 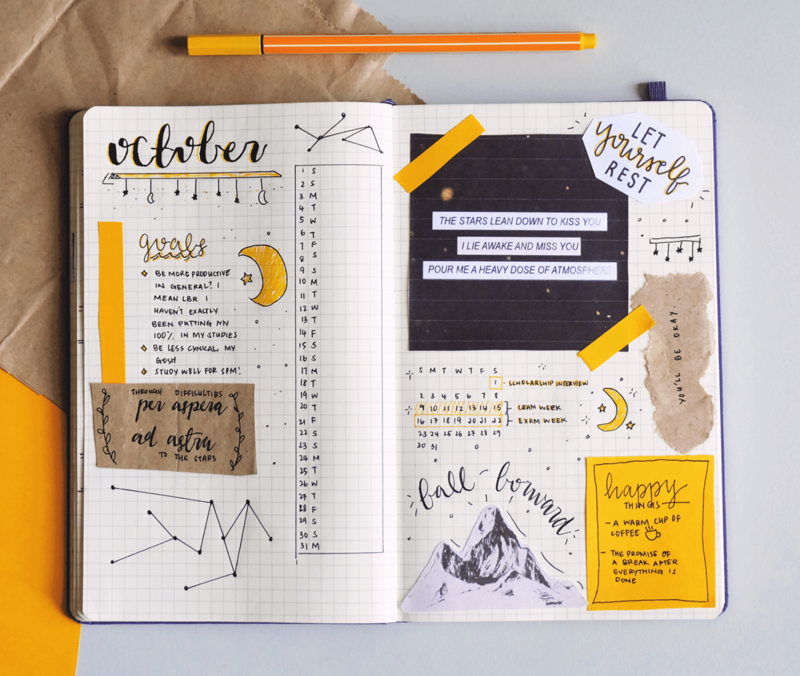 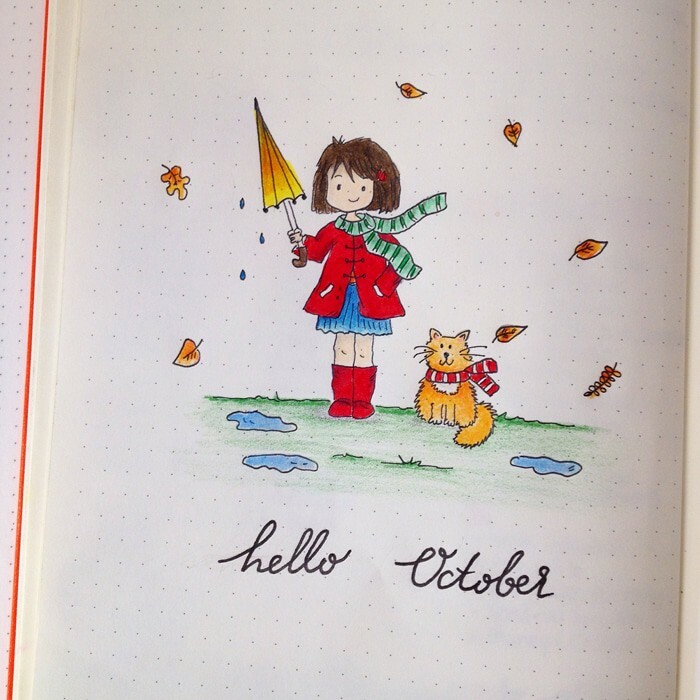 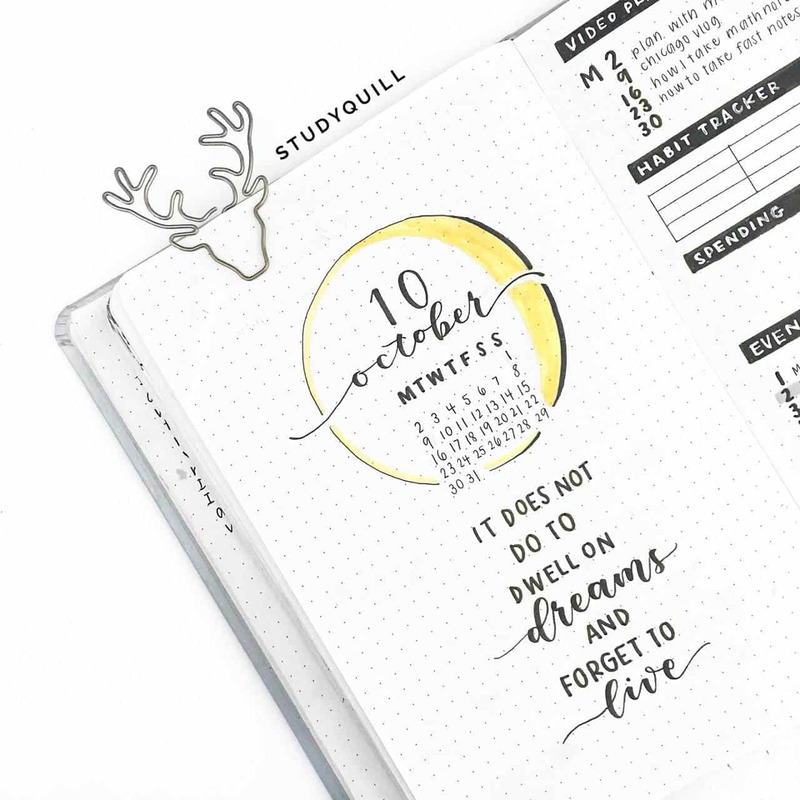 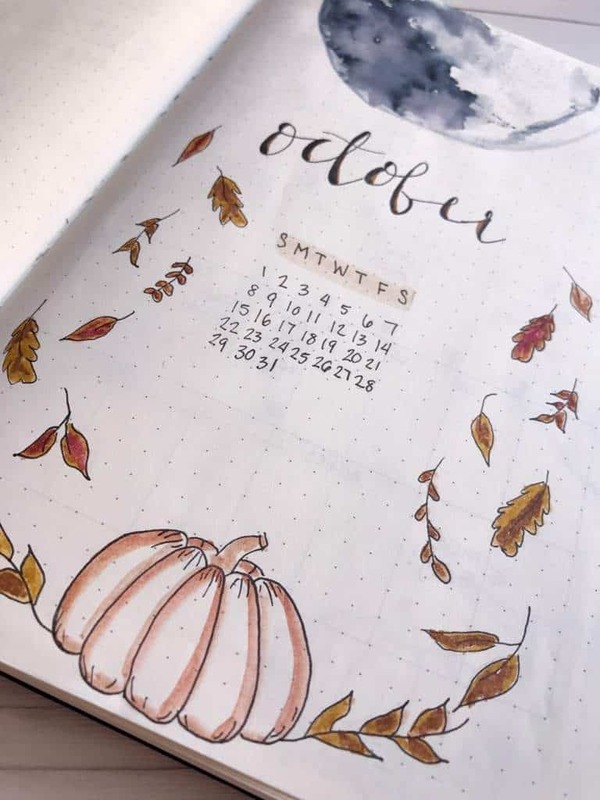 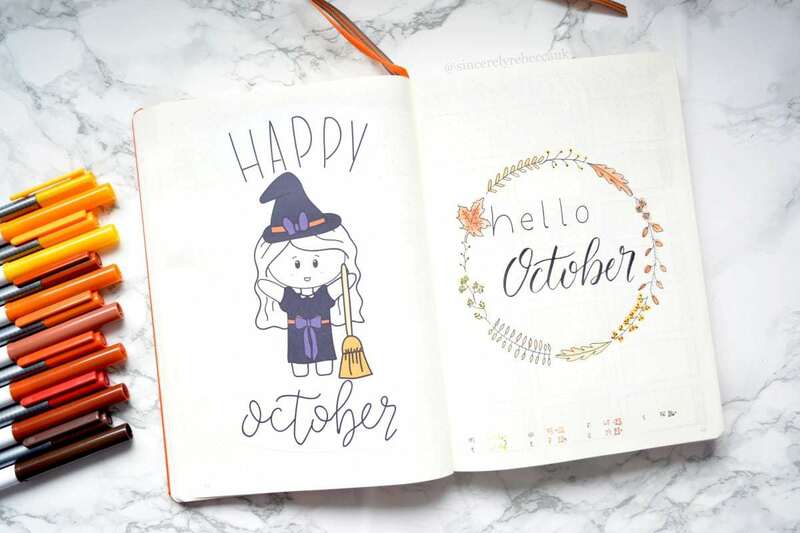 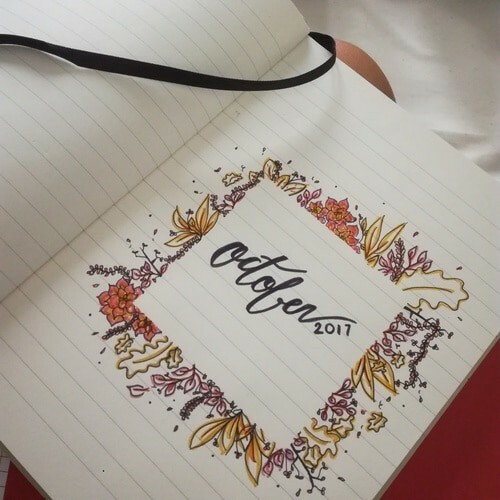 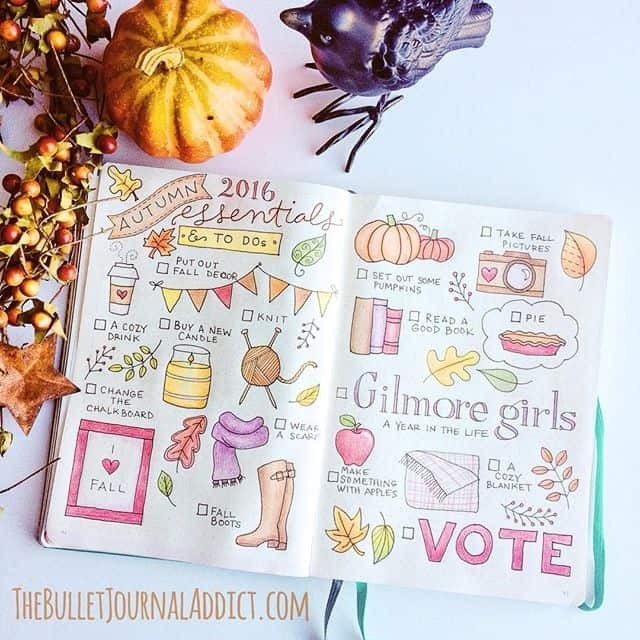 From pumpkins and witches to Fall leaves and Harry Potter there’s something in this collection of October Bullet Journal themes to get your creative juices flowing! 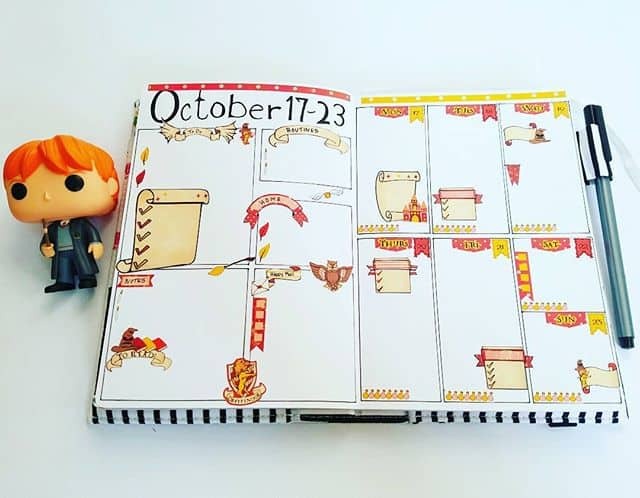 October is coming! 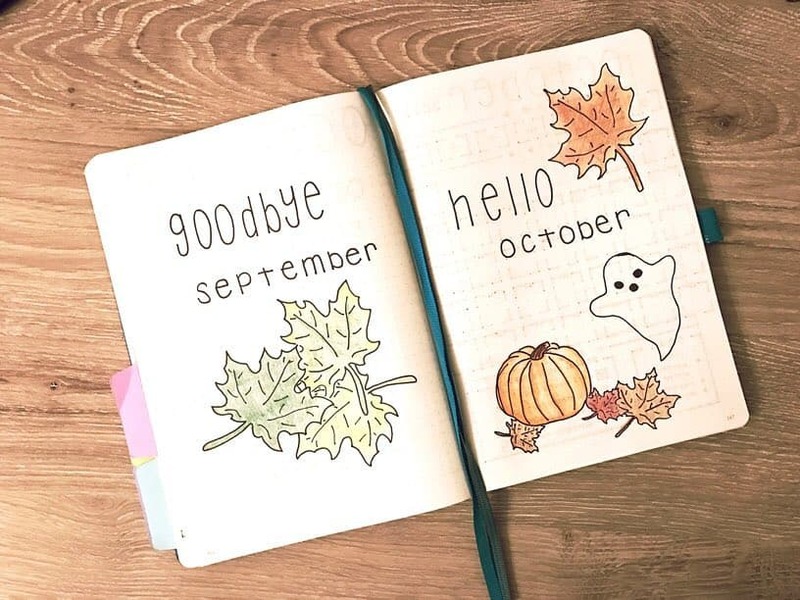 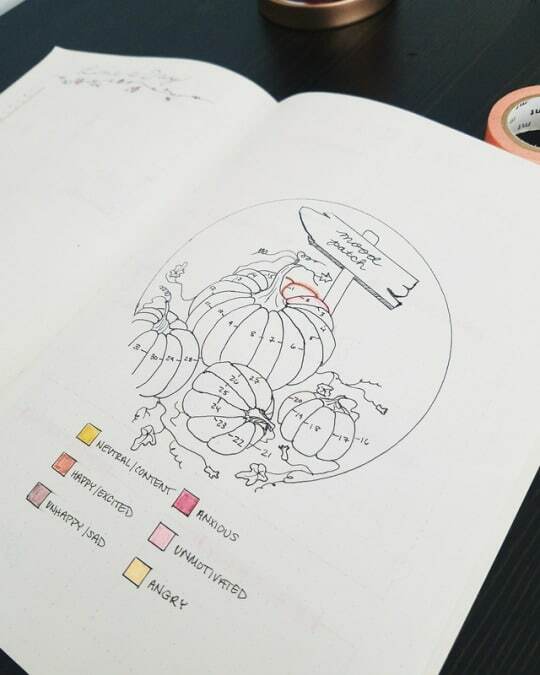 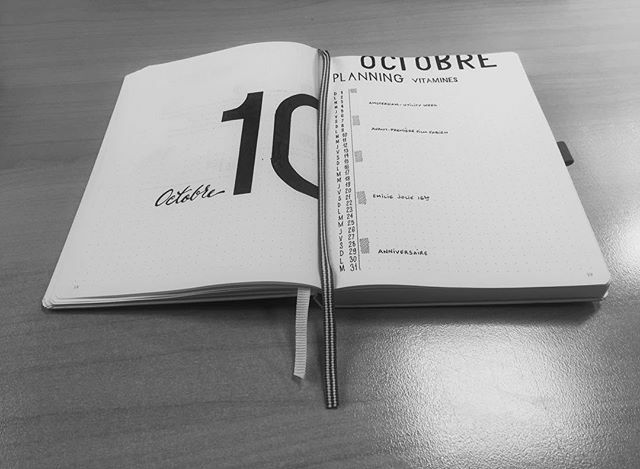 And that means it’s time to plan your October Bullet Journal themes. 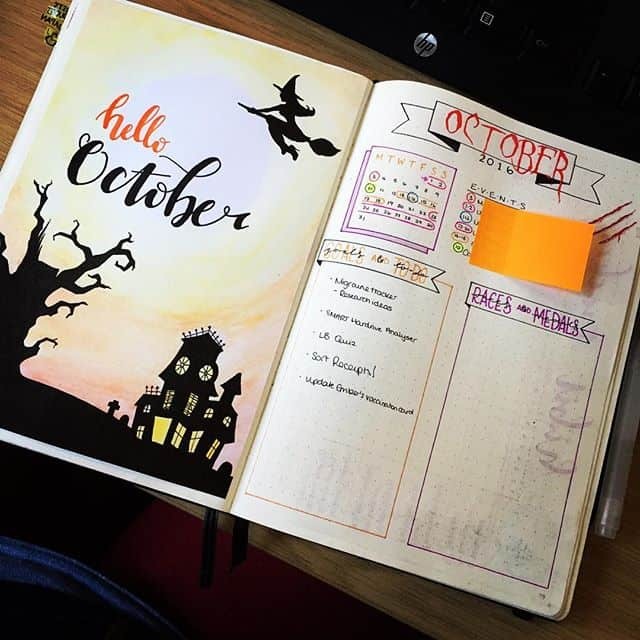 I’m super excited for October and I’m having trouble whittling down the ideas to plan my theme. 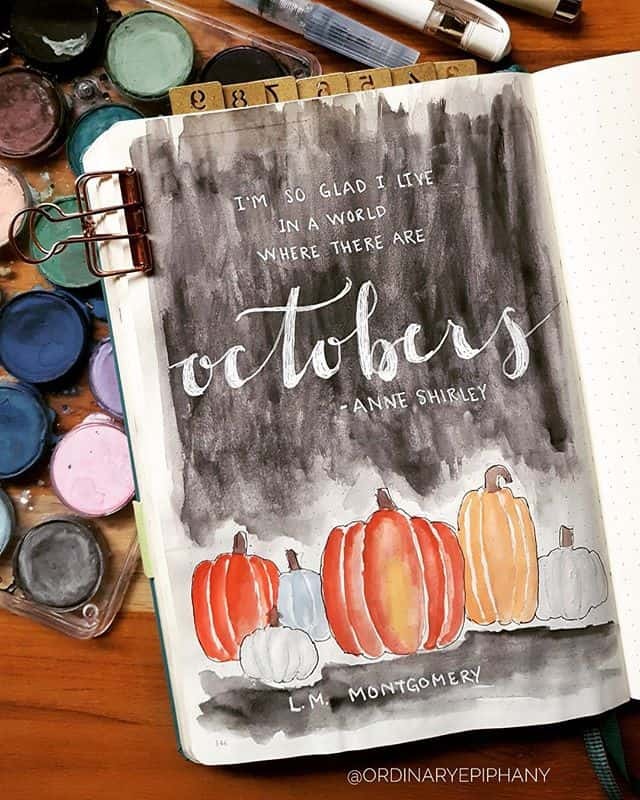 There is so much to inspire us this month, from pumpkin patches and falling leaves to Harry Potter and of course a quote from Anne with an E who loved October so much! 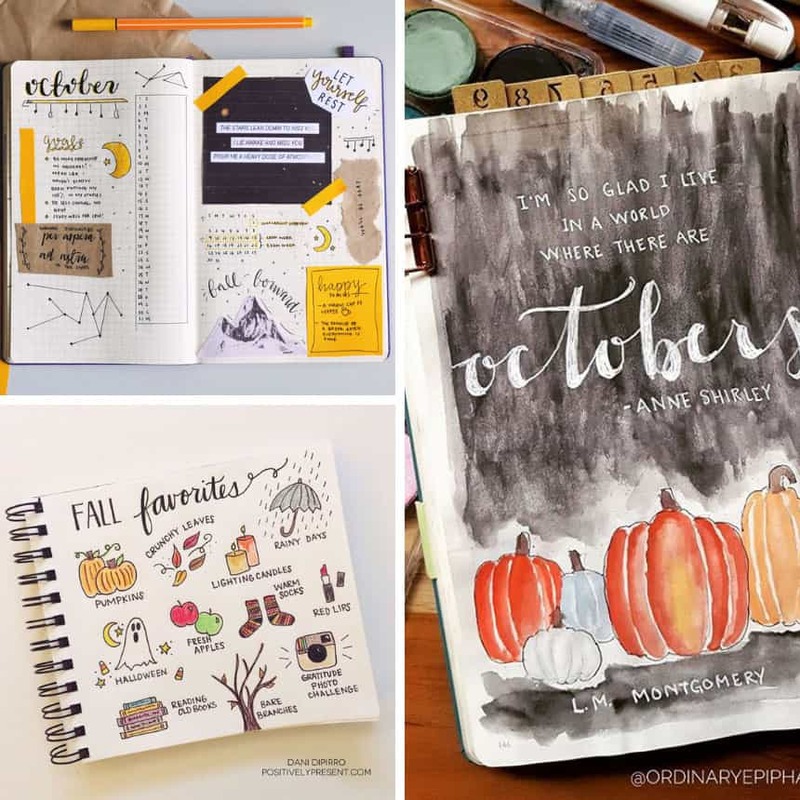 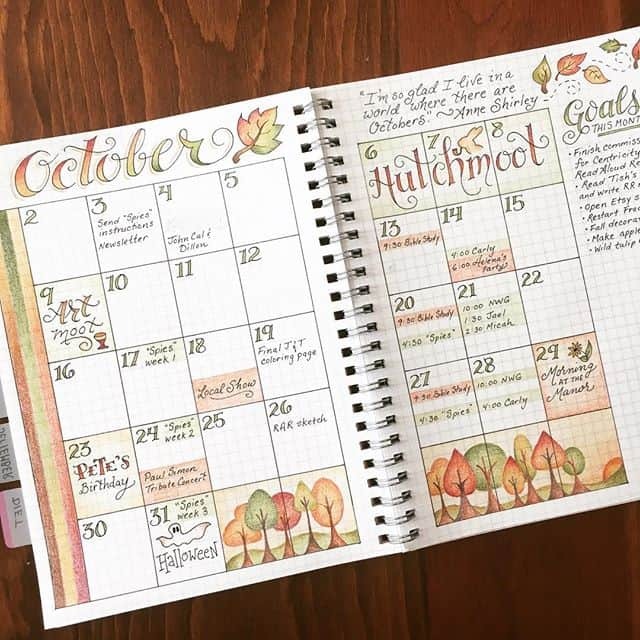 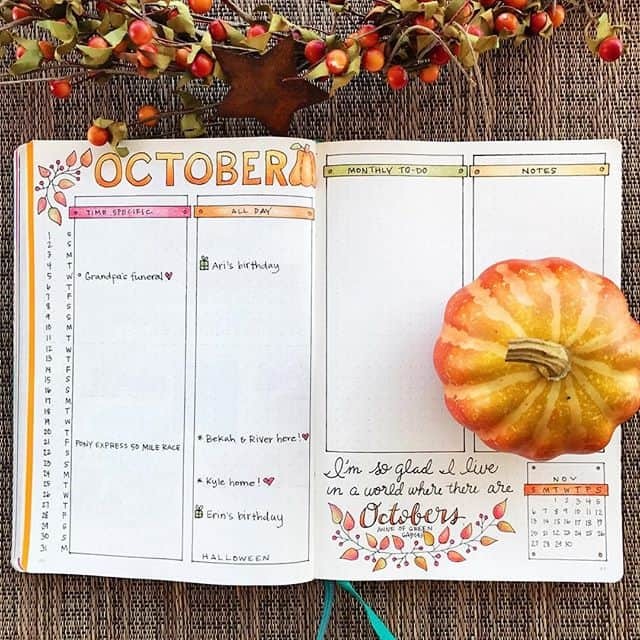 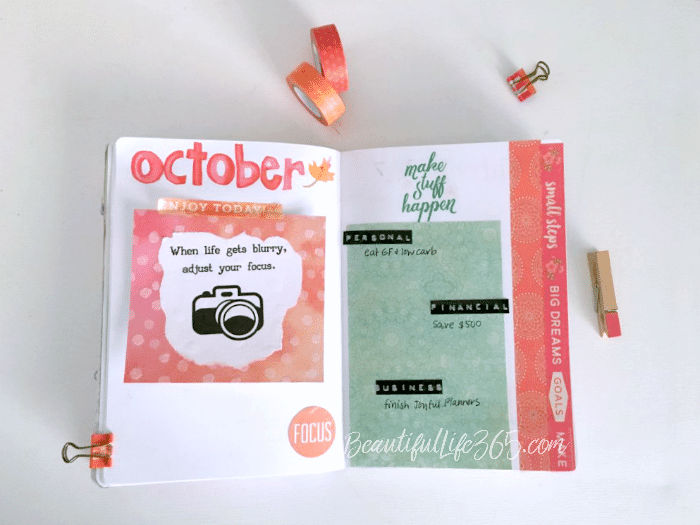 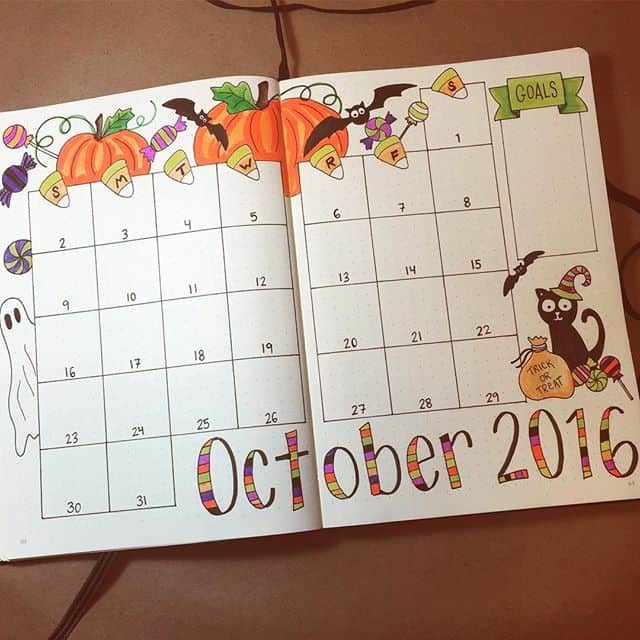 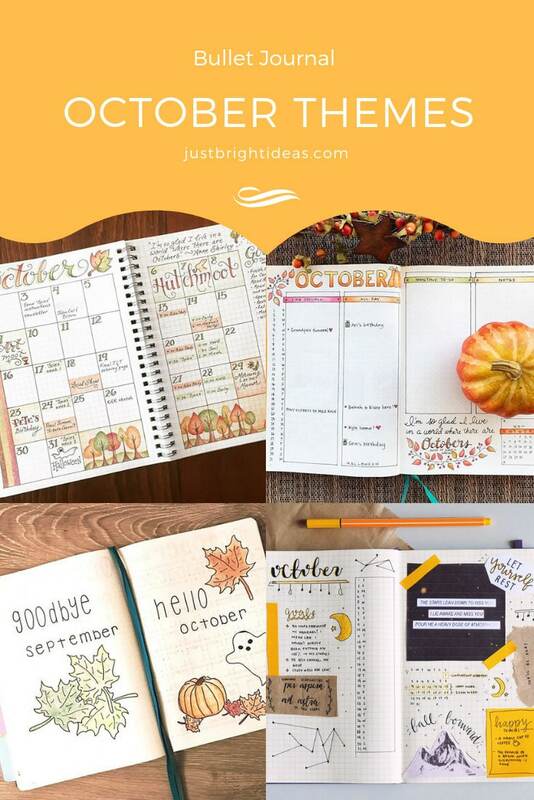 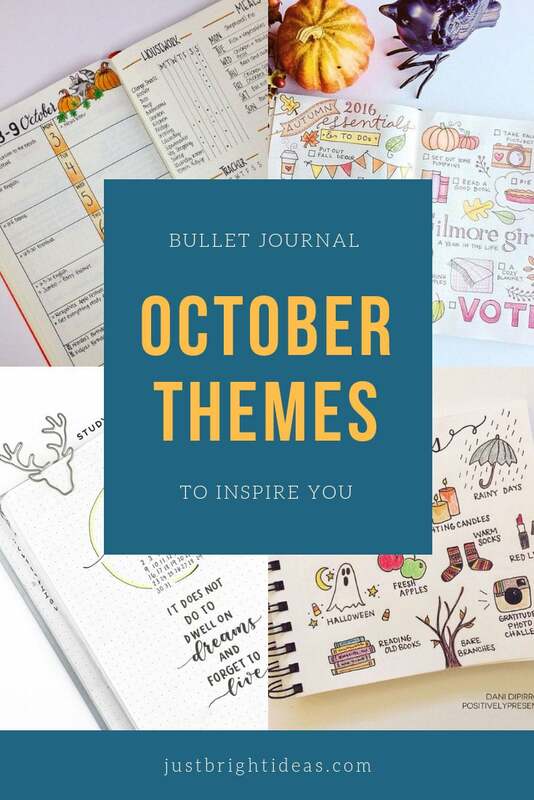 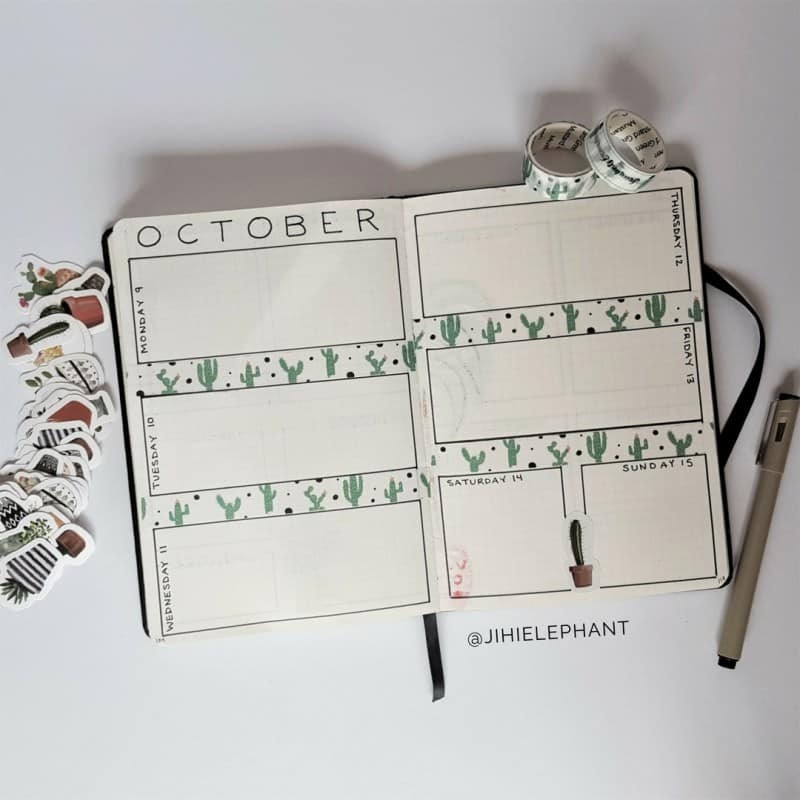 If you need a little inspiration too take a look at all of these fabulous ideas from fellow bujoers, including some plan with me videos to help you decide on your October theme! 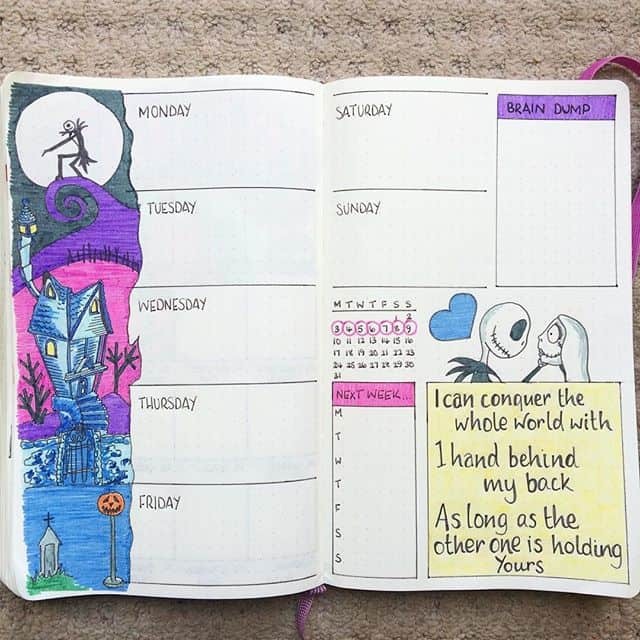 Or a cute little ghost! 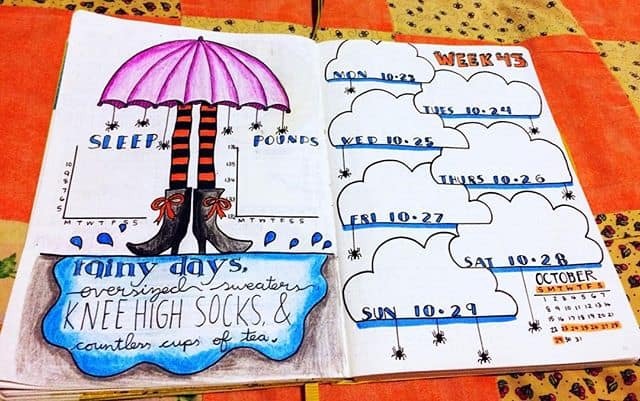 Celebrate stripey witch tights and umbrellas!